Uplift Lives: How to find a good company secretary in Sri Lanka? A wonderful company secretary ! Once, a friend of mine had to deal with a “wonderful” company secretary :). In my efforts to help her, I got to know many interesting facts about some of the secretaries in Sri Lanka, and thought I should share. 1. Because the companies Act (No 7 of 2007 – Sri Lanka) say so. 221 (1) Every company shall have a secretary. 2. 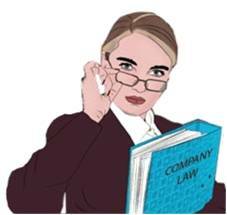 There are many duties in a registered company to be performed by a company secretary. Who can be a company secretary in Sri Lanka? Usually company secretaries are Attorneys at law, Chartered Accountants or members of the Institute of chartered secretaries. How to appoint / remove company secretaries in Sri Lanka? This is what the companies Act says. (b) Certified that such person has such qualifications as may be prescribed in relation that company, under section 222. (3) A person named as the secretary of a company in an application for incorporation or in an amalgamation proposal, shall hold office as a secretary from the date of the incorporation of the company or the date the amalgamation proposal becomes effective, as the case may be, until that person ceases to hold office under any provisions of this Act or any provisions contained in the articles of the company. (4) Unless the articles of the company otherwise provides, the board shall have the power to appoint or remove a secretary of the company. These are some of the issues which companies (specially foreign investors) face with the company secretaries in Sri Lanka. After obtaining the payment, secretaries have stopped answering calls, blocked emails and got lost. When the local staff who handles the business calls the secretary, usual excuse they give is, they will only speak with the directors. Secretaries know that directors of these companies are foreigners and they do not stay in Sri Lanka all the time. Therefore they use that as an excuse and deny doing any work. Their professionalism has gone for dog (no insults for dogs)! 2. Companies having to pay thumping amount of fines due to the fault of secretaries. Since I’m not a lawyer I do not know whether this is legally possible. One corporate secretary has issued share certificates without paying the stamp duty!!!! And after some time, company was informed to pay large amount of fine for that. Their question to me was “when a company legally appoints a company secretary to look after these things, why a company would have to pay fines for the faults of secretaries?” Can’t you make them responsible for professional negligence? I'm sure you know how the courts procedures in Sri Lanka, so no need to tell anyone that it are not an option to go to courts. They asked me whether there is any regulator such as FSA (Financial Services Authority) for UK or a professional Institution such as ICSA (the Institute of Chartered Secretaries and Administrators) where they can complain the behavior of these secretarial companies. I referred them couple of institutions such as BOI Investment division, ICASL (Institute of Chartered Accountant of Sri Lanka) and Bar Association. But I did not have a signal point of contact of any authority that has a power to look in to these things and resolve. These foreign investors do not have much idea about the companies Act or other regulations in Sri Lanka. Therefore these corporate secretaries have interpreted all the laws as the way they prefer and tortured some of these investors who loved this country and who stayed with this country through thick and thin even in the plight of war. It’s sad that they think laws and regulations in Sri Lanka are all in adverse for investors. In actual case it is not. If the directors willing to do so, there’s no legal restrictions preventing it. But it’s a hazardous exercise. Once I involved with such a task. I’m an accountant, but I had to do such a marketing job to get the removing secretaries agree to a smooth hand over process. Because when the secretaries are changed, the previous ones have to hand over all the files and documents of the company in their custody to the new secretary. Then they will tell the new guys to come on another day, and make them sit and wait for hours, and do much bugging. How to select a good company secretary in Sri Lanka? If you have absolutely no idea on how to pick a secretary, here are few tips. 1. Unfortunately, in Sri Lanka you need to do most of the things, on recommendations. Always check with the people you know from other companies. If they have come across a good or bad secretary, they will tell you the details. You cannot always rely on what other people say. But it gives you an idea. Its like taking recommendations from a non related referees before you employ a worker. 2. Select a firm, which is affiliated to top secretarial firms in the world. Because those companies are answerable to their gloabal firm for the blunders they do to their clients and therefore they are extremely careful on dealings. Same as they seem to be more professional may be due to a high standard training they receive. Even though their charge is coparatively high, that will be compensated with the peace of the mind you will get with them doing their job correctly. 3. Select a firm where there are more than 2 partners. Then it’s a collective responsibility and not like husband and wife get together and start a firm to find the living, but not for a proper service. I wish I could write the opposite of many things I wrote about. For example, I wish I could have recommended you to select a small firm rather than a big foreign affiliated firm. But I have met with people who actually suffered due to them and knowing that it’s not their fault, I do feel bad about it. If anyone feels I’m laughing at people, no I’m not. I just want to correct the few people who think they are “it” and they can take innocent businessmen for a ride. Wrong is wrong irrespective of who does it. I’m not an expert of this field. Therefore if there is anything to be corrected, please share with us. Same as if you have anything to add to this, do share the knowledge. It helps. Thanks. Than you for you great service. do you know any source offer company secretaries information? list of the company secretaries with contact information. I'm sorry I haven't come across any such listing. I remember there was a listing at www.cse.lk. But I couldn't find it now. Please see below for a firm I know.